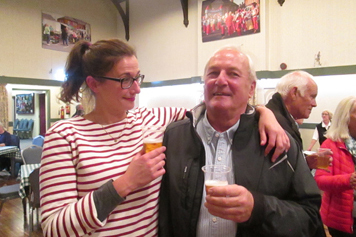 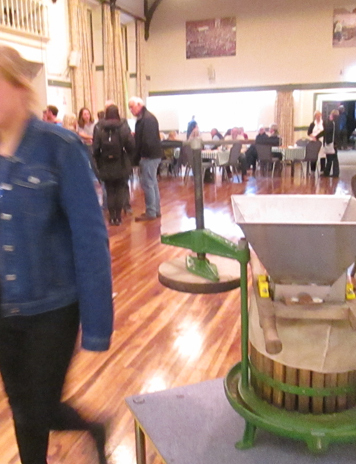 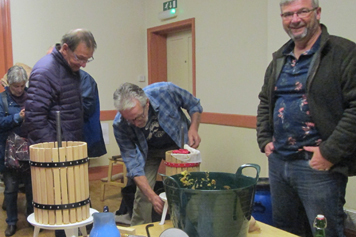 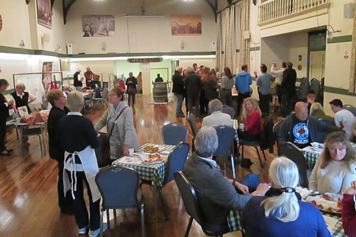 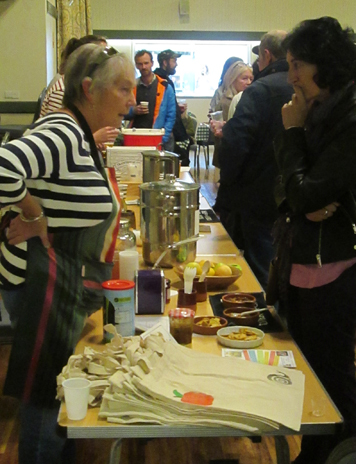 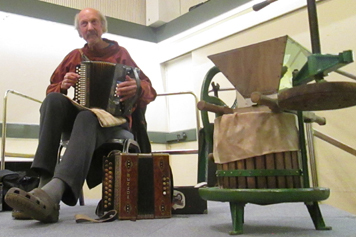 Scores of cider fans converged on Aylsham Town Hall (28 September) to watch local cidermaker David Warren, his wife Jenny and daughter Rosie put on a demonstration, display and tasting of home-grown cider as well as their own cider vinegar, juice and chutney. 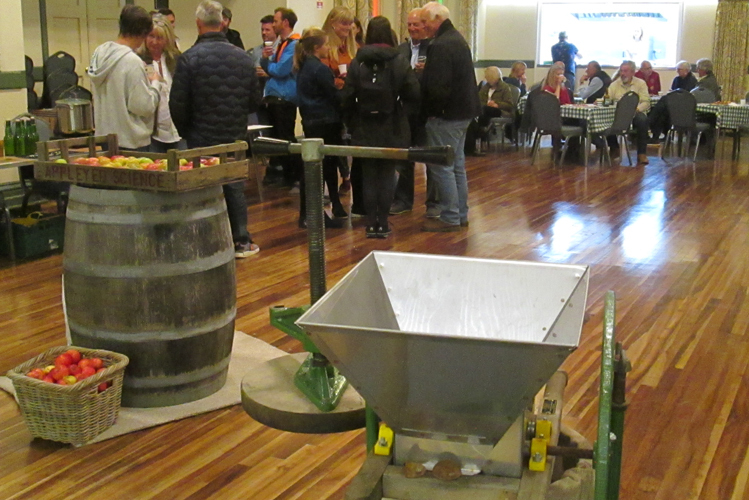 Organised by Slow Food Aylsham, the event – Cider With Rosie – marked the launch of the three-day Aylsham Food Festival which starts on Friday 5 October. 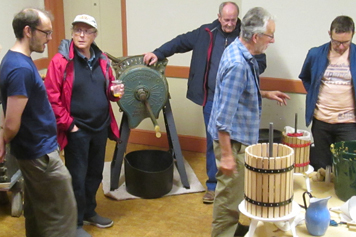 The art of cider making has a long history – dating back to the Romans who, when they invaded England around 55BC, found that cider was already being enjoyed by the boozy Britons. 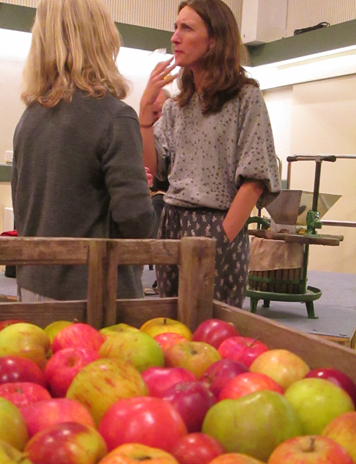 But it was the Normans in 1066 who brought the most profound changes to apple growing in Britain. 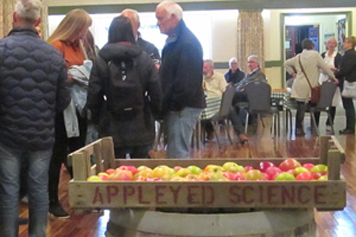 Slow Food Aylsham hosted the autumn event in celebration of local apples and all that can be done with them including apple tartlets, cakes, and fresh juice all prepared, home-cooked and offered to visitors on the night.